WILLEMSTAD - On Friday, October 6th CHATA Members had the opportunity to elect 2 new board members for the interim period until the scheduled board elections of 2018. According to President & CEO Miles Mercera, it was a tight race between the six candidates that put themselves up for election for the 2 available interim hotel positions on the CHATA Board. In total CHATA received 577 valid votes, of which 329 went to Edward Suares from Lions Dive & Beach Resort followed by Alette Borger from Dolphin Suites with 284 votes. President & CEO Miles Mercera is convinced that the newly appointed interim board members will continue with the mission and vision of CHATA and contribute to the development of a sustainable tourism industry with a strong focus on public and private partnership. During the meeting CHATA also provided the members with an overview of the performance of tourism and the current projects which are being undertaken by CHATA and the sector in general. In addition to the interim Board Elections CHATA also invited several keynote speakers to share their vision on important subjects for the industry with the purpose of keeping members up to date with current affairs and to spark creative ideas and collaboration between its members. CHATA invited a representative of CINEX, Mr. Raymond Jamanika to give a presentation on the importance of Investment for the Tourism Industry. CHATA believes that it is of great importance for the private sector and government to invest in the development of our tourism product in order for our destination to meet the demands of the tourists we are trying to attract. Next, Van Eps Kunneman & van Doorne elaborated on issues which are of importance for businesses in the unfortunate event of natural disasters. Natural disasters can have serious negative affects for many businesses. In the unfortunate event that business can no longer operate business owners have to take the difficult decision of terminating employment agreements. Mrs. Molly Steward and Mrs. Tiffany de Palm elaborated on the considerations business owners should take in the case of such an occurrence. Finally, CHATA concluded the Member Meeting with an inspiring speech by the President of FDKK Mr. Takaidzwa Doran who elaborated on the benefits of Sport Tourism for the Island. 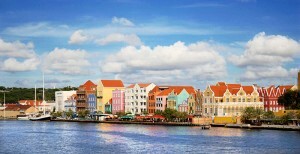 According to Mr. Doran, Curaçao holds untapped potential to develop as a sport tourism destination. Members showed great interest in this subject and CHATA stated that it will continue to explore possibilities together with FDKK to further develop the idea of sport tourism on Curaçao.